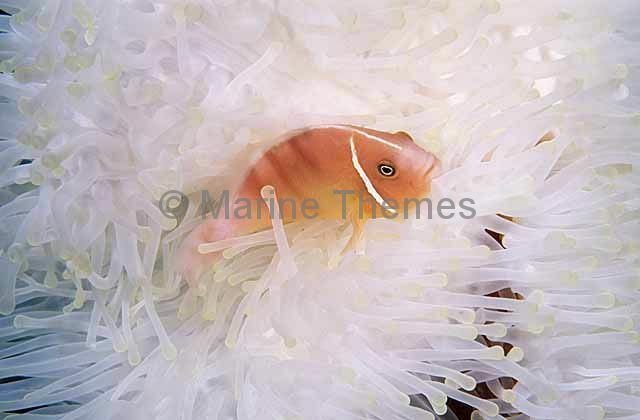 Pink Anemonefish (Amphiprion perideraion) on bleached Magnificent Sea Anemone (Heteractis magnifica) Coral reef bleaching. 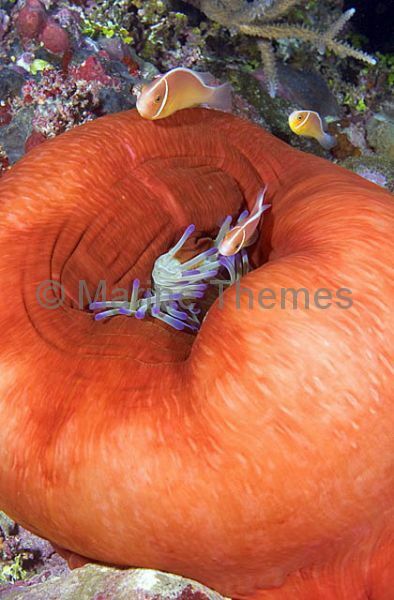 Pink Anemonefish (Amphiprion perideraion) in partly closed Magnificent Sea Anemone (Heteractis magnifica) with commensal shrimp. 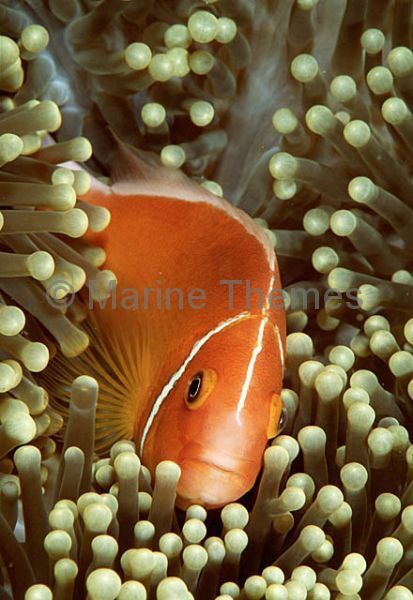 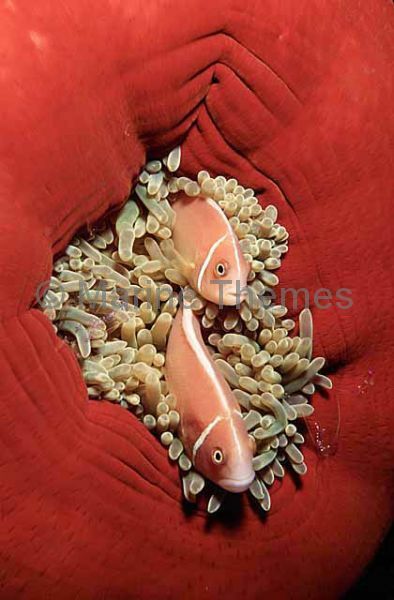 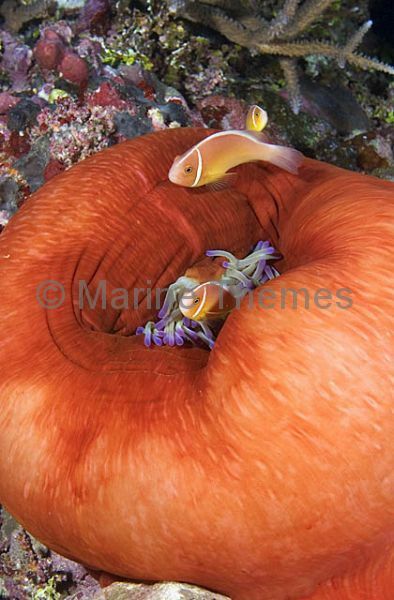 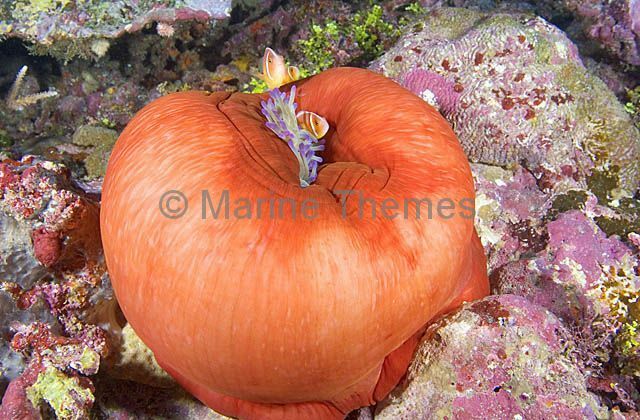 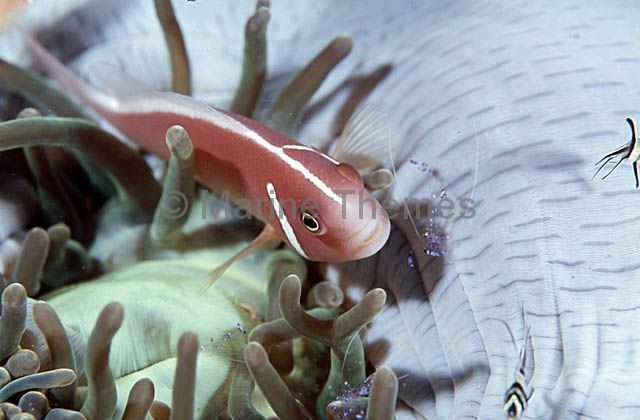 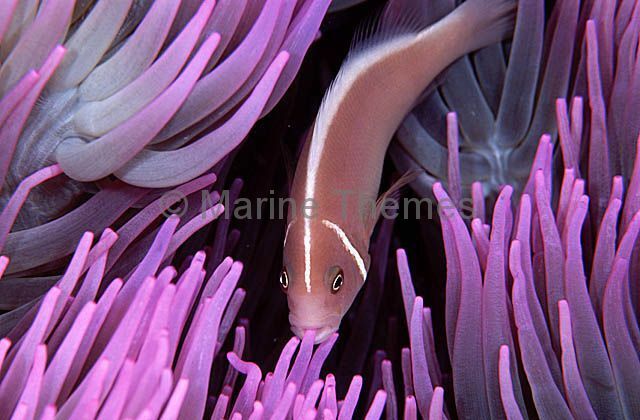 Pink Anemonefish (Amphiprion perideraion) cleaning tentacles of host anemone as part of their commensal behaviour. 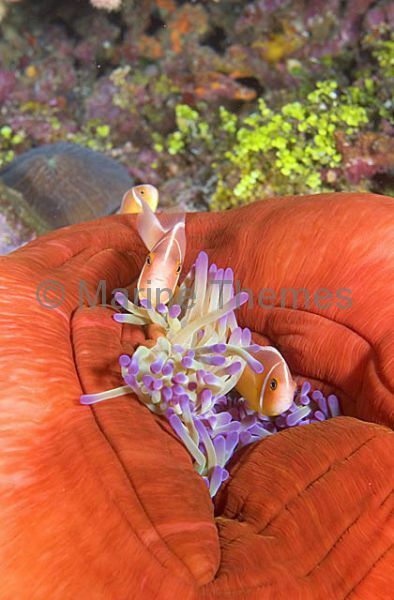 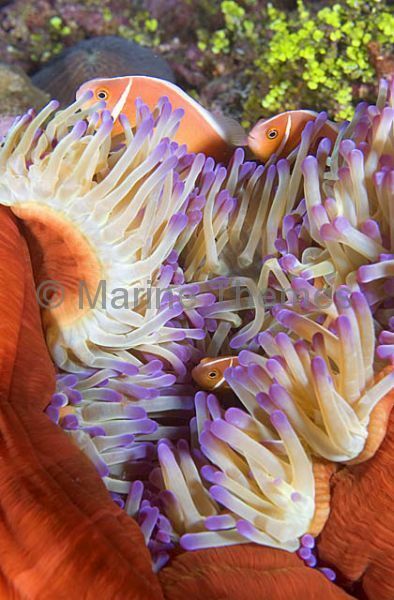 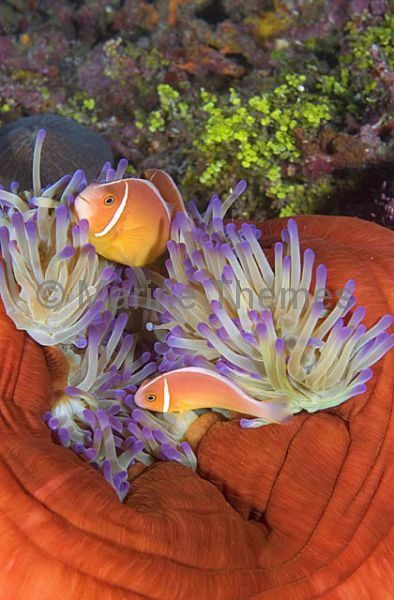 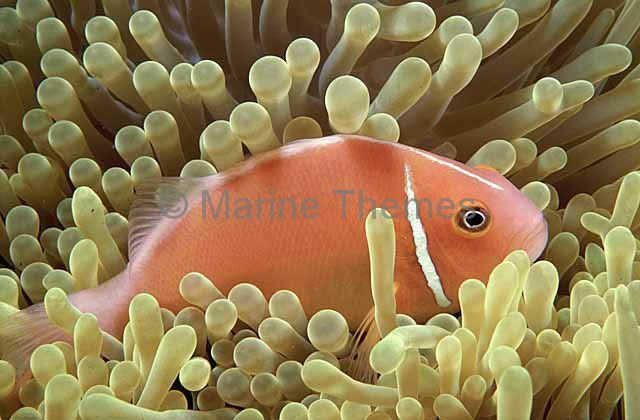 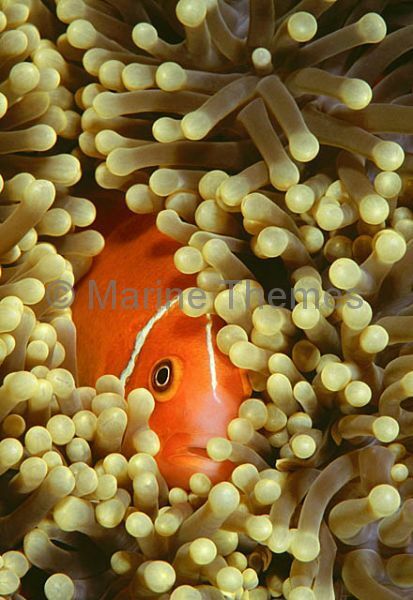 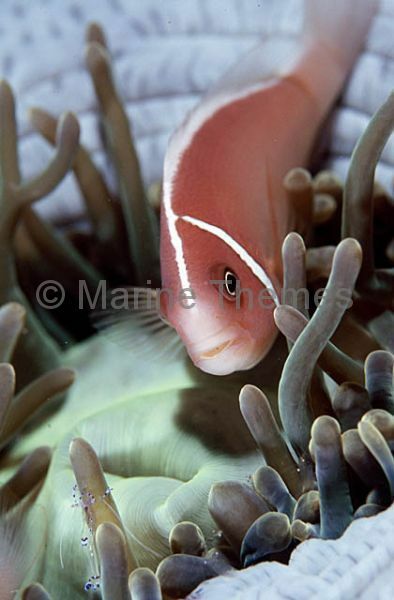 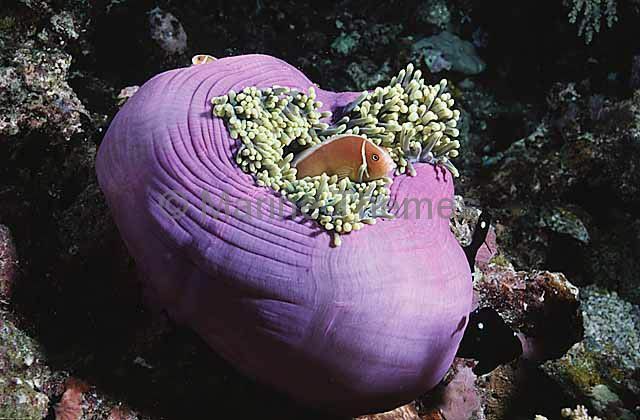 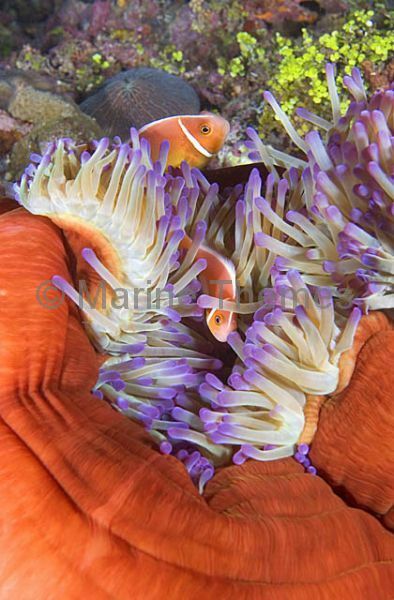 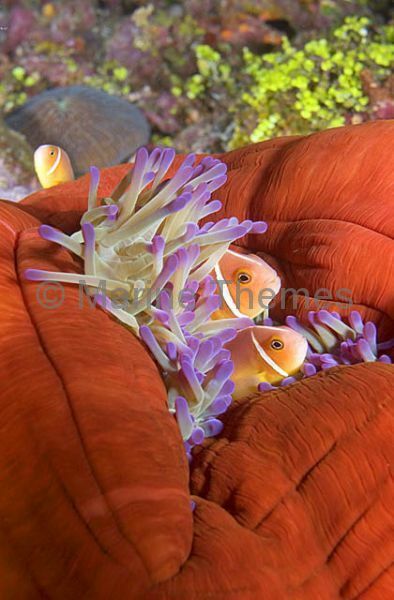 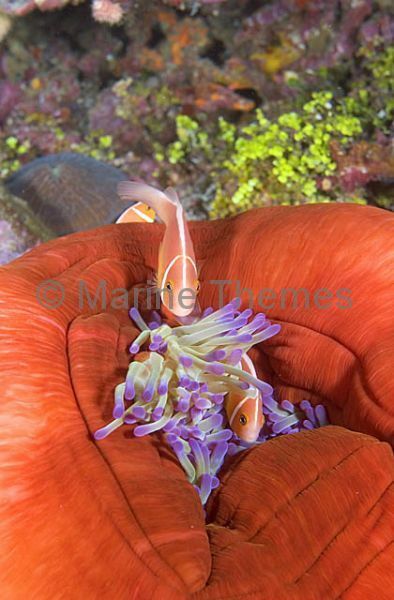 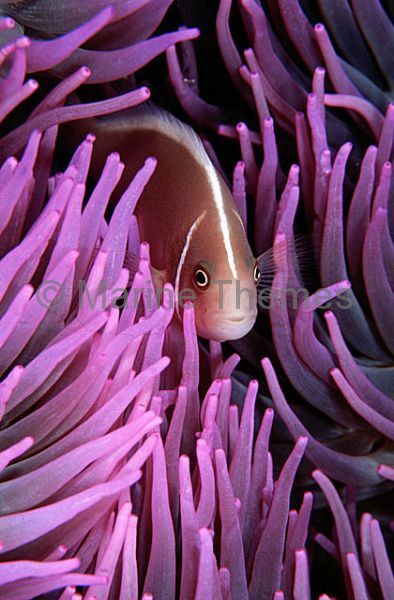 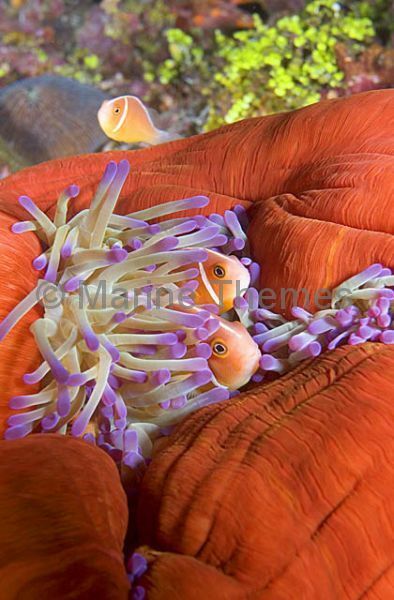 Pink Anemonefish (Amphiprion perideraion) hiding in host anemone.